In 2009, they established a new vision and concept for all of their artistic endeavors - focusing on house, disco and techno. 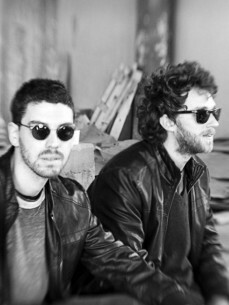 Several Red Axes EPs came out between 2009 and 2011. At 2012 they released “Tour de Chile” EP on I’m a Cliché and another EP on the same label - “1970”, in addition to remixes and original tracks for La Belle or Clouded Vision and Days of being wild. 2013 continued with "Silver bed" Ep at I’m a Cliché and "Caminho De Dreyfus" Ep on Correspondant along side remixes for labels such as Kill the Dj and Throne of blood .